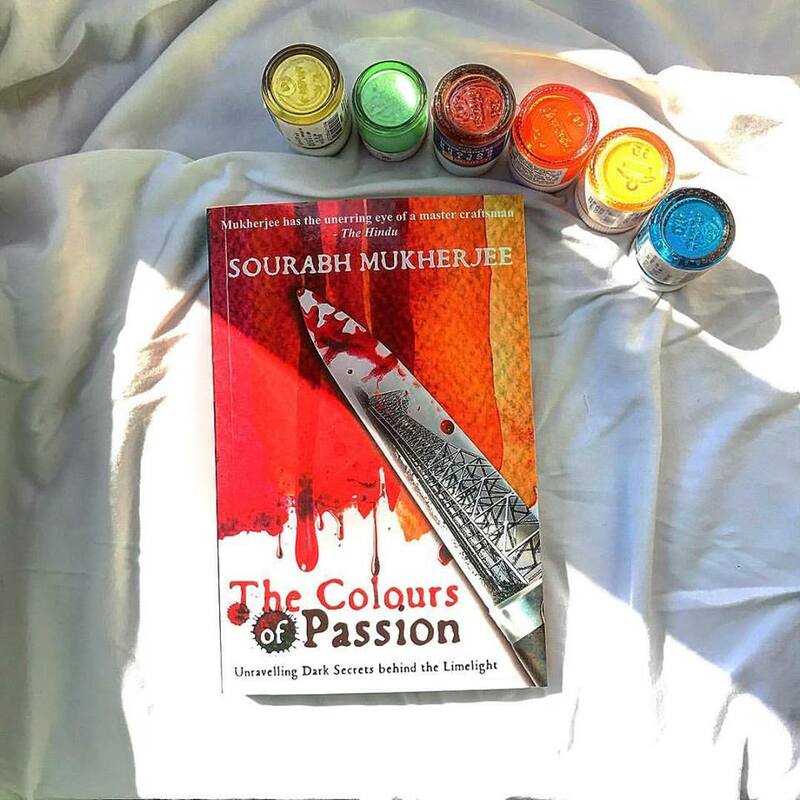 Book Review: The Colours of Passion by Sourabh Mukherjee. When you love someone, you are happy when that person is happy, even if you are not part of that happiness. Our lies always catch up with us. Within days of her fairy-tale wedding with Manav Chauhan, Hiya Sen, the reigning queen of Tollywood, is brutally raped and murdered. As ACP Agni Mitra investigates into the high-profile murder, he meets Neha Awasthi, with whom Manav broke his engagement to marry Hiya, Neha’s father Deepak Awasthi, who was eyeing business benefits through the alliance, Mayank Kapoor, an alcoholic model and Rituja Bose, the diva who had reigned over Tollywood over the past decade. When two more murders connected with the case make headlines, it’s time for Agni to find answers to perplexing questions and unveil shocking truths. First of all, I loved the cover of the book, it’s so attractive and signals a mystery. The title of the book is also impressive. The colours of Passion, the title itself tells so much. The Passion that ACP Agni Mitra had in solving the case. The way he investigated and joined each and every piece of puzzle exceptionally. The story starts with Murder of popular actor Hiya sen. The story holds interest from the start and throughout. The end was totally a mystery. I finished this book in one go because of curiosity to know what will happen next. The Suspense is not disclosed till the very end. There’s a lot of suspense in every chapter and is linked with one another. The character of ACP Agni Mitra is something amazing, just like one of the best personality. The way of his investigation was amazing. The plot is built very well with love, mystery, romance, friendship, suspense and much more. The characters built up by the author are well impressive. Although Agni’s past with Rituja was breaking the link to the story as it gets a bit confusing and breaks a flow. Simple language makes this read more interesting. It’s one of the best read in crime fiction. The pace was also built very well, so was the narration. Hold on language, the professionalism that characters showed, writing style, building up the mystery, characters putting a piece of every puzzle together very well. A well-written story it is. I really enjoyed reading this book and would recommend everyone who loves crime fiction. It’s an interesting read.